Building upon Husserl's challenge to oppositions such as those between form and content and between constituting and constituted, The Concept of Passivity in Husserl's Phenomenology construes activity and passivity not as reciprocally exclusive terms but as mutually dependent moments of acts of consciousness. 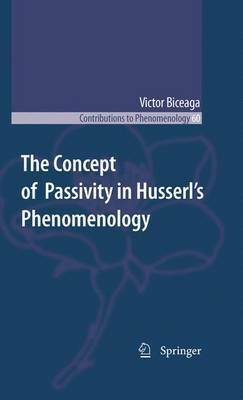 The book outlines the contribution of passivity to the constitution of phenomena as diverse as temporal syntheses, perceptual associations, memory fulfillment and cross-cultural communication. The detailed study of the phenomena of affection, forgetting, habitus and translation sets out a distinction between three meanings of passivity: receptivity, sedimentation or inactuality and alienation. 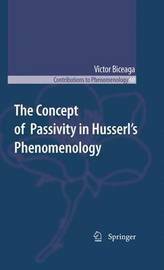 Husserl's texts are interpreted as defending the idea that cultural crises are not brought to a close by replacing passivity with activity but by having more of both.